Looking for all of the luxuries of living in a single family home without any of the headaches? Here it is! 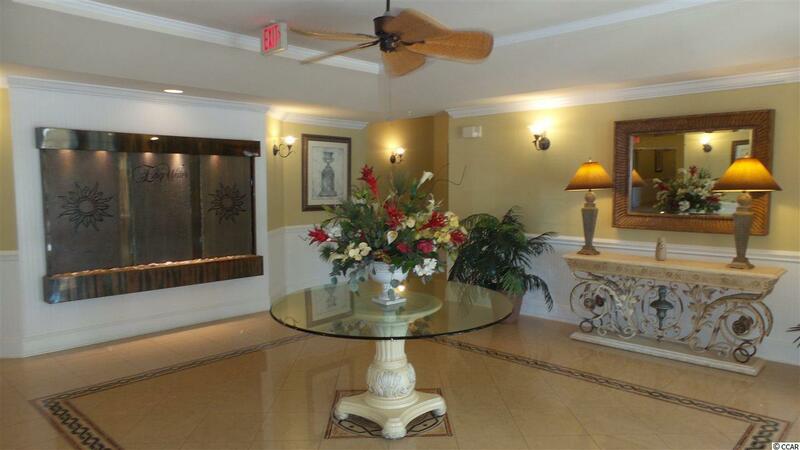 Edgewater is the premier condominium complex of Barefoot Resort and Golf. Nestled behind the community gates you'll find beautiful Mediterranean-style buildings with lush landscaping. This particular unit was the original model of the community and was professionally decorated to make its occupants feel as though they are in an exotic paradise. No detail has been overlooked, and it has never been rented. Inside this Napa floor plan, you'll find 12-inch ceramic tile in the foyer, kitchen, bathrooms and laundry room. The dining area, living room and bedrooms are all carpeted (all carpet was deep cleaned on May 9, 2018). The kitchen also boasts Corian countertops, maple cabinets and stainless steel appliances. Both the master bedroom and master bathroom have tray ceilings featuring grass cloth. While both bedrooms have large, walk-in closets, the master bedroom has two walk-in closets: a his and hers. 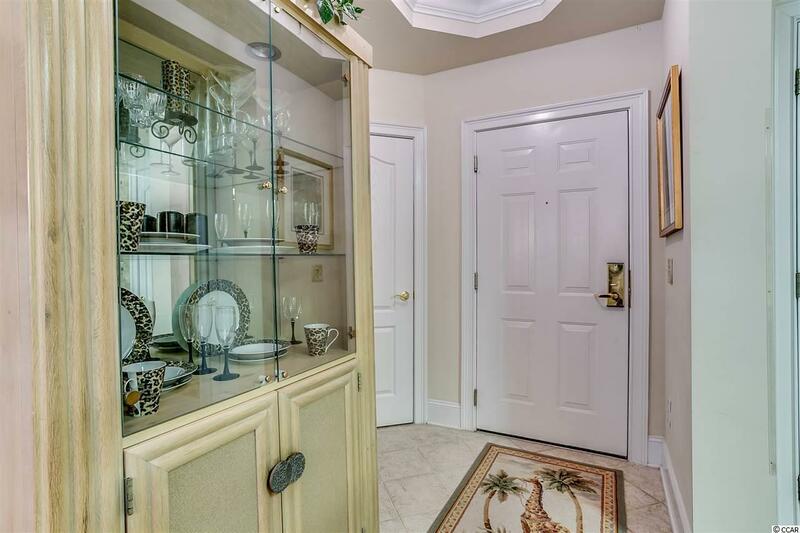 If that's not enough storage, there are two additional storage rooms just for this unit: one down the hall that's climatized, and another in the building's private garage (with assigned parking) that's large enough to hold your golf cart, and then some! Off of the living room of this unit is a screened in porch overlooking the 16th tee box of the Norman course. This is a par three with its green overlooking the waterway. The flooring on the screened in porch has been upgraded from outdoor carpet to large ceramic tile. If you don't just want to watch golf, but want to get out and play yourself, you're in luck! 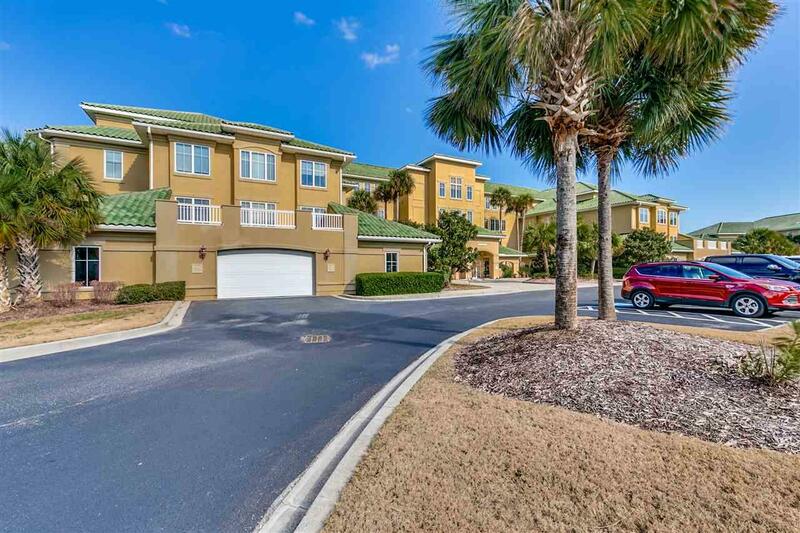 This condo has a transferable golf membership giving you access to three of the four championship golf courses at Barefoot Resort and Golf: The Norman, The Fazio and The Love (The Dye Club is separate). Barefoot Resort and Golf offers its members many opportunities to get involved and meet other community golfers, including the Men's Golf Association and Barefoot Ladies' Golf Association where active league play is available. 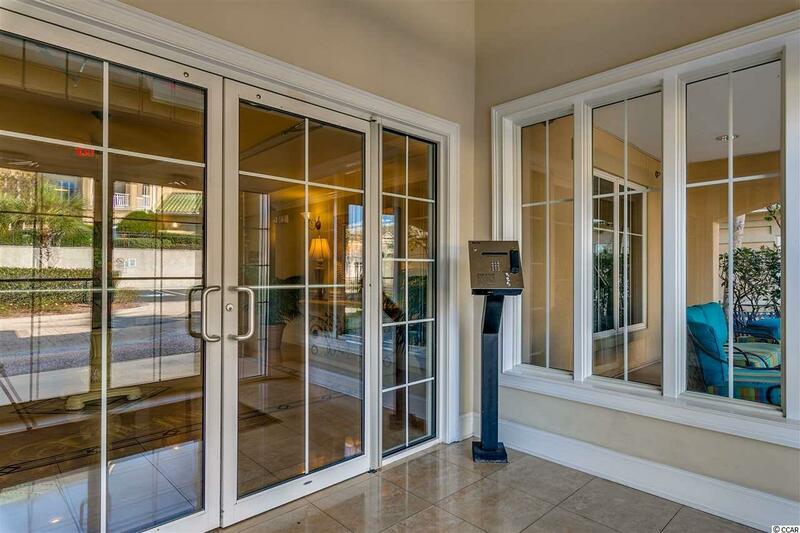 Golf isn't the only amenity you'll enjoy as the owner of this particular unit. Edgewater also has a gorgeous clubhouse (available to rent for private parties!) overlooking the community pool with its own fitness center. The community pool and hot tub sit directly on the waterway where owners will also find day docks for the boat enthusiast! For those that still want to stick their toes in the sand, Edgewater owners have access to Barefoot's private, oceanfront cabana with private parking, bathrooms and outdoor showers. If you don't feel like driving to the beach, take advantage of the community shuttle that picks up just outside of Edgewater's gates. If all of this sounds good to you, just bring your suitcase! This condo is sold fully furnished including a stackable washer and dryer, linens and kitchenware.